Simple! Sleek! Styled just right for those that love the basics in their wardrobe. This is for cell phones but don't stop there; use this beautiful cross body bag to carry light. Perfect for credit cards, driver's license, cell phone, pen, lipstick, etc. 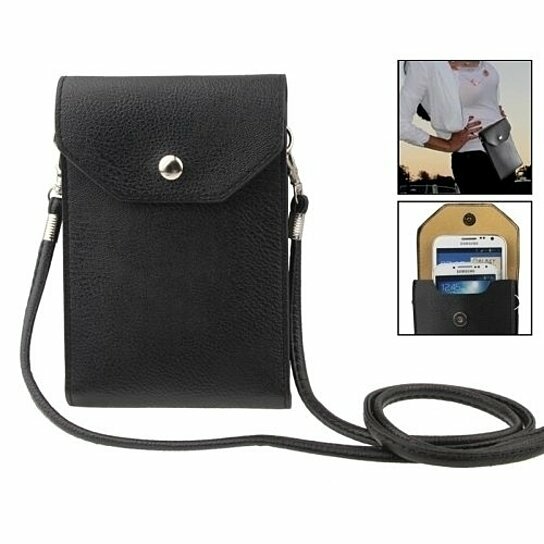 Fashioned in a stylish Litchi faux leather pattern, it features a removable shoulder strap, easy access credit card pocket, and magnetic closure.